A fundraising initiative set out to help support individual athletes and team goals. 65% of all proceeds will go directly to athletes*. Minimum $10 donation. PIN PASS is a program in conjunction with THRIVE PINS to create an added incentive for supporters of Unity Volleyball: Discounted Errea products, Invites to special events hosted by Unity Sports, Discounts at local businesses TBA. *Remainder will be injected into streams that drive club-wide growth through facility management, coaching development and athlete support. At Unity, graduating athletes should feel that they have gained more than simply a love for the game. In addition to THRIVE Days, all programs are built in harmony with our THRIVE Movement to help enhance athlete development and performance to be best prepared for whatever one’s dreams may be. We encourage all members, athletes and families alike, to be the best version of themselves possible. THRIVE Days act as a way to bring Unity together as a community and use sport as an educational medium! In the past, we have held host to nutritionists, professional athletes, healthy active living professionals and even Olympians such as Josh Binstock! 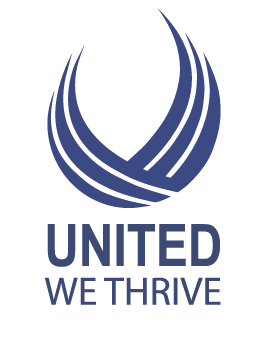 Mettle Sports Training is an integral part of the Unity Rep team programs and the Unity THRIVE initiative through the LTAD (Long Term Athlete Development) model. Mettle offers physical fitness, nutritional and strength training to all our elite athletes. A healthy body, mind and attitude is necessary for success in sport and is a cornerstone to the Mettle process. They will be working with all our teams as well as co-developing a cutting edge Physical Literacy program for the youngest athletes in the club.